Sorry for not keeping up with recaps this week. I really have diminishing patience for this drama. I think I’ll just be covering some of the highlights of a few episodes. Hopefully, the scenes that interest me will also be interesting for readers. Su Su sits down for a nice dinner with her family. I think it’s rare (and cute) that her family has such a nice dynamic. Even though her father has three wives, they are all on Su Su’s side. When Su Su mentions her desire to help Team Yue Fei, the wives help persuade her gruff father. Meanwhile, Team Yue Fei is looking very down and raggedy. 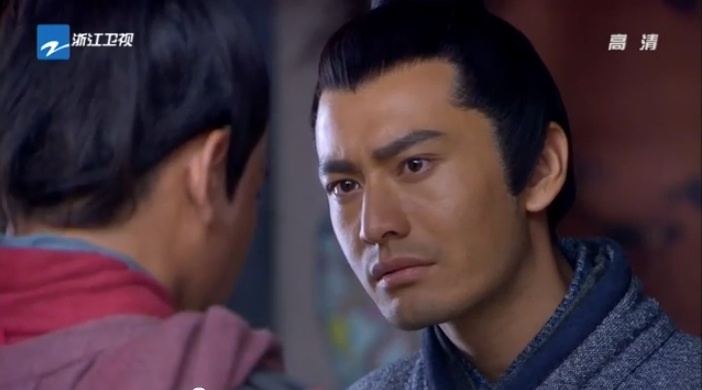 Baddie general shows up to surrender to Yue Fei. Yue Fei tells him to snap an arrow into ten pieces. If baddie general betrays Yue Fei again, Yue Fei promises to chop him into ten pieces. 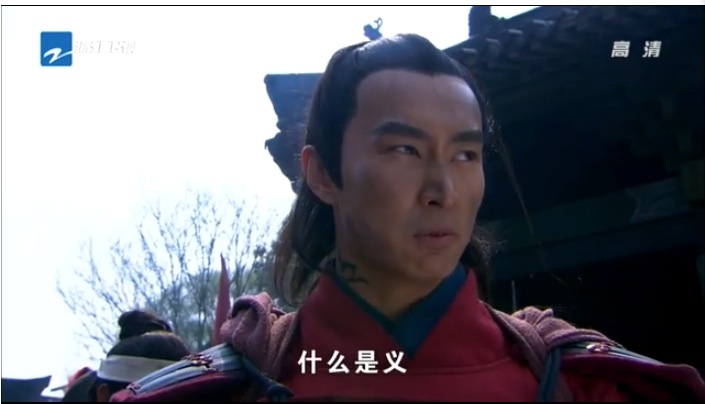 Yang Zai Xin gives a pretty little speech the expresses his trust and loyalty to Yue Fei. Bro Squad follows suit. In the middle of a pity bro fest, where everyone reaffirms their love for Yue Fei, Su Su’s dad shows up to tell them he has a military camp built for them, and ten years worth of food. Well, isn’t that convenient. As soon as Su Su pops up, I can’t help but ask….WHY DOES NO ONE CARE ABOUT XIAO E ANYMORE? Aw, all the Bro Squad generals wait until the soldiers are done eating before they grab any food. A pretty restaurant owner comes by with stewed meat, and she has some obvious chemistry with Bro Squad member Iron Ox (the Li Kui lookalike). So cutes. Yue Fei refuses a lot of the gifts (of food) that the peasants have brought for the soldiers. HAHA Iron Ox (so strange, this just doesn’t sound like a name) can’t sleep at night, because he’s thinking of the pretty girlie. Yue Fei gifts Su Su a small sword in gratitude. I don’t like that look in his eye….think XIAO E. Su Su grabs his hand and runs to give him a room to live in. NO MAN YOU’RE SUPPOSED TO DECLINE. FINALLY, Yue Fei’s youngest son mentions his mother. Everyone in the family freezes. Later, Bro Squad comes in and tells Yue Fei of a mother and daughter who died while running from the Jin army. There’s the dropped amulet as proof and everything. As sad as they look, I’m pretty happy, because I know they’re still alive. But for now, I’m going to enjoy Yue Fei’s suffering. Bro Squad gets their food stolen. YAY Liu Shi Shi shows up! She’s got one of the ugliest hair designs I’ve seen in this drama. Yue Fei and Bro Squad figure out that Jin’s iron machine has a weakness – the horses’ calves are unprotected. 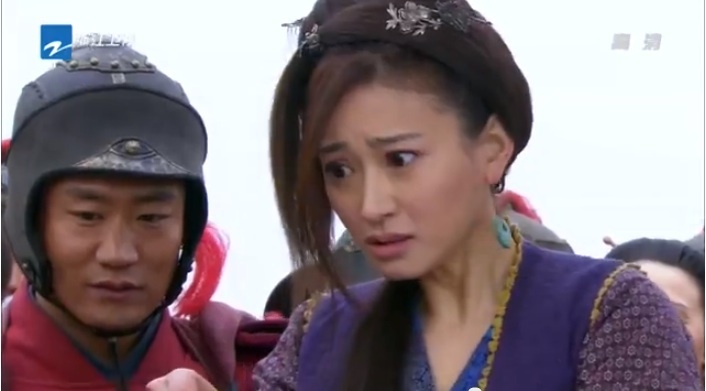 Gao Chong (the one who stole the food earlier) shows up at Yue Fei’s camp. Aw, Yang Zai Xin is really growing on me. 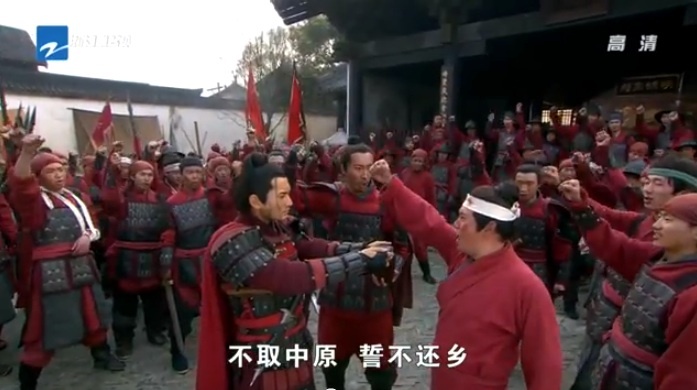 Yue Fei persuades them to surrender to his camp. Problems are all solved. Oh, Liu Shi Shi plays his blind wife here. Oho! This is nice. Gao Chong and his forces save Xiao E and An Niang from the Jin camp. Buddy, you can exchange them for all the food you ever want. Yue Fei sprints through the forest to meet wife and daughter. Cue group hug. 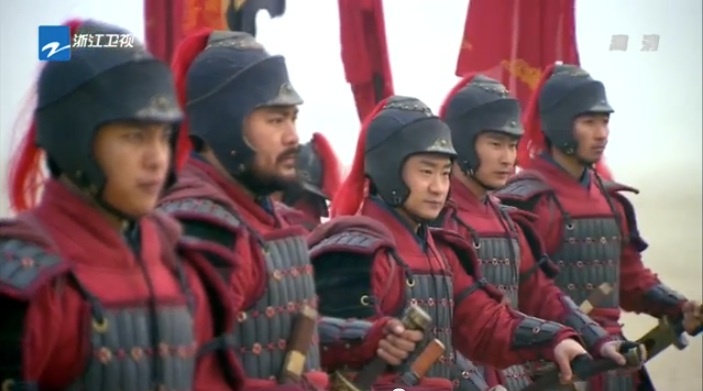 This entry was posted in Chinese Dramas, Culture, Drama Recaps/Reviews and tagged 精忠岳飞, Episode 35, Episode 36, Huang Xiao Ming, Jing Zhong Yue Fei, Patriot Yue Fei, Recap. Bookmark the permalink.